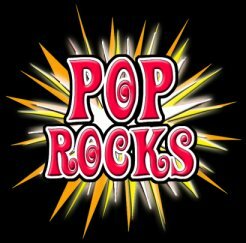 Who loves Pop Rocks? Want to join me next Tuesday morning on SideDish for the Pop Rocks’ 35th Anniversary & Smackdown? America’s most virulent urban legend sets the record straight once and for all – can some of America’s top radio hosts scarf a soda and a handful of Pop Rocks without exploding like little Mikey – ON-THE-AIR!? I’m looking for a sidekick and am taking names!